Take off the ‘battle gear’ — and get some pampering! We tend to tense our muscles as a reaction to stressful situations, or even stressful thoughts. It is of course a preparation for fight or flight response. Over time, the nature of our perceived dangers and stresses have changed and become more generalized and pervasive. I know for myself I never used to be aware of how often I do this, or how many muscle groups I would tighten. This kind of reaction can be unwittingly repeated for years. It becomes a false measure of normal. It dawns on me, many of us are wearing invisible suits of armor, no less heavy and resistant than their clumsy, steel predecessors. The problem is as we think we are guarding against unwanted situations, we also compromise our ability to feel pure joy, well being, improving health, love, abundance; to translate the good in a sensory or mental way, allowing it into our experience. 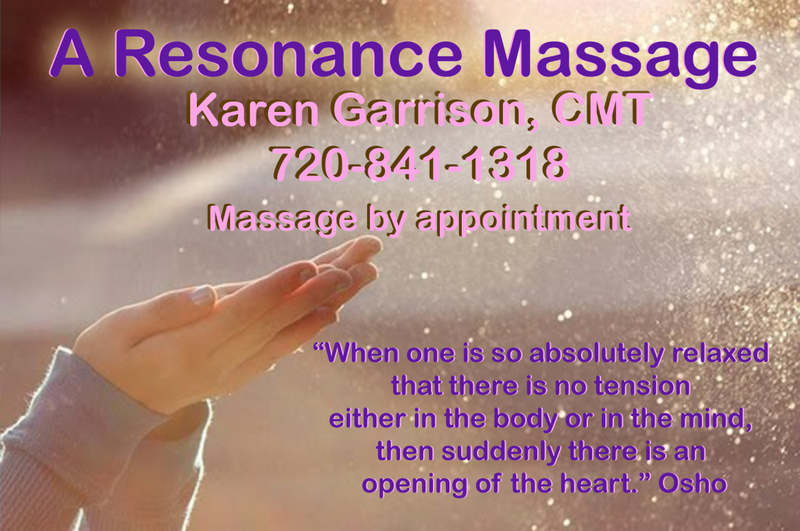 Massage can certainly help and meditation or progressive relaxation techniques are great. As a massage therapist I certainly feel and sense the sheath of armor-like muscles on many people. We spend precious energy maintaining this silent state of tension. For myself, I’ve begun taking note more regularly and consciously, releasing my tightened (for no good reason) muscles with breath and loving thought. I think this is a part of what is meant by — change your thoughts, change your life. The more we focus on self love and extending love, the more love comes into our lives and the less often we feel vulnerable. Removing the invisible ‘armor’ definitely allows the body and heart lighter, freer feelings and a stronger desire to interact with the blessings of life. We can become so unaccustomed to deeply positive feelings that we are suspicious of them or at the very least need to practice feeling them. Practice allowing the heart to swell, to radiate, tingles to ripple up the spine, happy tears to fall freely, mouths to smile, feet to tap dance. Massage is always a great way to begin to let go of tension you don’t realize you are ‘wearing’! I’d love for everyone to get massages because massage feels good and they want to pamper themselves — instead of because they are hurting.